Home » Healthy Eating Blog » Your teenager big on sugar? Maybe they aren’t getting enough sleep. Teenagers sleep a lot, right? Well maybe this isn’t such a bad thing, according to a small study on sleep restriction and dietary intake, published this month. In this experiment, forty one teenagers, (between 14 and 16), were placed on a three week sleep programme and their diets were monitored. The first week included normal sleep, to stabilize sleeping patterns and the following weeks included restrictions, (6.5 hours vs 10 hrs). What they found was that compared with when getting enough sleep, sleep-restricted teenagers were eating more desserts and sweets. Sleep deprived teenagers tended to have diets characterized by a higher glycemic index and glycemic load and a trend toward more calories and carbohydrates overall. There were no differences in fat or protein intake. Might be worth checking if your sweet loving teenager is getting enough sleep. 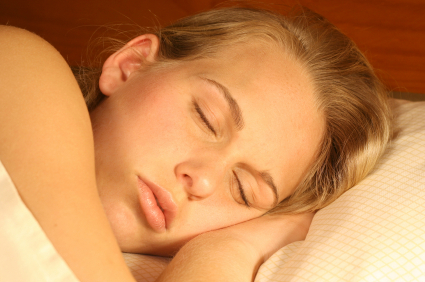 Dietary intake following experimentally restricted sleep in adolescents. Beebe DW, Simon S, Summer S, Hemmer S, Strotman D, Dolan LM.